Wale Ayansola, a 200-level Political Science student of the University of Ibadan, had always wanted to attend the Ebedi International Writers Residency in Iseyin, Oyo State, so that he could put finishing touches to his debut poetry collection, Spectacle of the Moon’s Eye, but due to school activities, he was always postponing his going there. However, with the ongoing strike by members of the Academic Staff Union of Universities (ASUU), Ayansola found a great opportunity to attend. While his mates are sitting idle at home, Wale is at Iseyin, working on his poetry collection. “Although most students are suffering as a result of the ongoing ASUU strike, which has led to the closure of the federal universities for the past five months, I want to say I have gained a lot as a result of the impasse between the government and ASUU. “I’ve always wanted to attend Ebedi. Apart from the fact that I would be able to focus on my work, I knew I would also meet writers who would be willing to put me through in my writings. 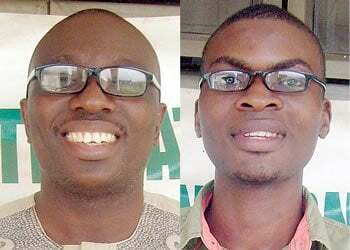 “So when the strike started, I quickly put a call through to the founder, Dr Wale Okediran, who agreed that I should come,” Ayansola said. Ayansola is not the only writer in the House. Mikail Oluwadare Bashir, an accountant by profession, is also putting finishing touches to his works there. Apart from writing poems, Bashir is also into screen writing and artworks. He has also been teaching students in the town these special skills. “I believe learning goes beyond academic. There are some skills one can acquire outside the classroom, and such are the skills I’m imparting in the students. “Apart from this, I have also been able to pen many poems,” Bashir, who had attended many literary events within and outside the country, said. Despite being an accountant, Bashir’s love for literature knows no bounds. It developed right from his tender years. “I just love reading; I read anything in print, and as time went on, I started becoming creative, and began writing some poems,” Bashir said. Now, at Ebedi, Bashir is also helping Ayansola to perfect his poems. Their relationship is just like that of brothers. “After putting some things down, he (Ayansola) comes to discuss with me, but I have been able to tell him that today’s poetry has no real format. “It is just the feelings of the writer which he/she is able to put on paper. Poetry comes from the mind and takes no specific format. So, nobody can say what the other person has written is nonsense. This is what I told him. “Nobody is right in poetry. So far the writer is comfortable with what he is putting down, and it comes from the mind,” Bashir said. Both writers, however, commended what the founder of the residency, Dr Okediran, is doing for literature in the country. “Ebedi is a good development for literature in Nigeria,” Bashir said, while wondering why the government and other corporate organisations have not partnered with the founder to take the residency to another level. It is not only Nigerian writers who are benefitting from Ebedi. Writers have come from Uganda and Ghana, meaning it is a residency for African writers, and that alone is putting our name on the African literary map,” Bashir said. For Ayansola, Ebedi has made it possible for him to do something worthwhile with his time while majority of his mates are wasting theirs at home.